NPQ repeats that board members of a nonprofit should not do business with that nonprofit or on the basis of their influence with the nonprofit. It is unethical and threatens the reputation of the organization. We have published more stories about this than we can remember, and here is another, coming quick on the heels of the shenanigans at Memorial Sloan Kettering. A similar situation seems to be emerging for the University of Maryland Medical System’s (UMMS) Board of Directors. As the Baltimore Sun reports, nine members of the 30-person UMMS board have been profiting from business deals and contracts with the medical system to the tune of hundreds of thousands of dollars. These board positions are officially unpaid, and the members are charged with overseeing work throughout the hospital system, which includes 11 member hospitals. The nine board members include Baltimore Mayor Catherine Pugh, who recently disclosed a deal with UMMS to sell 20,000 copies of her book, Healthy Holly: Exercising is Fun, for a $100,000 profit. In response to reporting by the Sun, Mayor Pugh released a statement Thursday morning in which she stated that the deal was legal and that the initial $100,000 profit figure was incorrect and was instead the “gross revenue.” Additionally, Pugh did not disclose that she was a member of the UMMS board of directors to Baltimore’s ethics office, and UMMS did not list the book contract on its federal tax form for the year ending in June 2017. Also concerning is that Pugh did not mention this board position in her disclosure reports to Baltimore’s Board of Ethics for 2016 and 2017, despite being on the board since 2001. Other board members engaged in deals with UMMS include: former Baltimore County Sen. Francis X. Kelly; August J. Chiasera of M&T Bank; John W. Dillon of Dillon Consulting; Wayne L. Gardner Sr. of Best Care Ambulance Inc.; Robert L. Pevenstein affiliated with technology companies; Dr. Roger E. Schneider of Vascular Surgery Associates; James A. Soltesz of Soltesz, Inc.; and Walter A. Tilley Jr. of Home Paramount Pest Control. In response to these revelations from financial disclosures reviewed by the Sun, State Senator Jill P. Carter is sponsoring legislation that would make illegal these type of profitable deals between board members and the hospitals they govern. Since the UMMS receives taxpayer money, including $50 million for an expansion of the University of Maryland Medical Center, Sen. Carter argues, more oversight is needed. Are these deals with board members a major conflict of interest in good faith governing by a board? Board members can get insider information—for instance, critical information about what types of work need to be done to maintain facilities or services—they can use to their advantage and offer the services of companies with which they have affiliations. Management of the hospital may feel uncomfortable declining a contract with a board member and may not seek out the most cost-effective or appropriate deal. 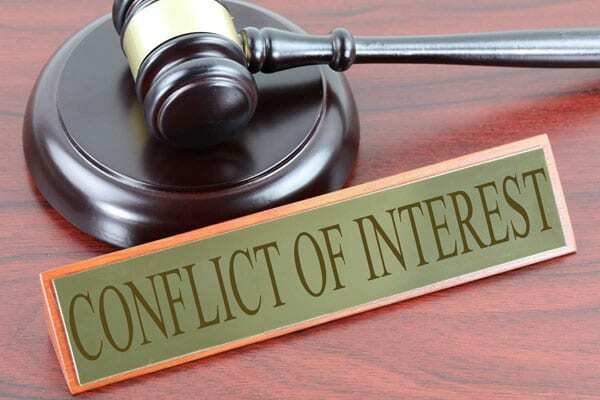 And additionally, the board member may not provide effective financial oversight, since they are preoccupied with securing the deal for their own company.